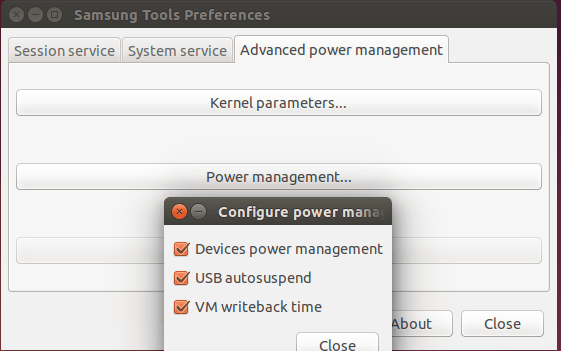 For those who are running Ubuntu on Samsung Laptops, samsung-tools is a strongly recommended application that brings a better Ubuntu experience. 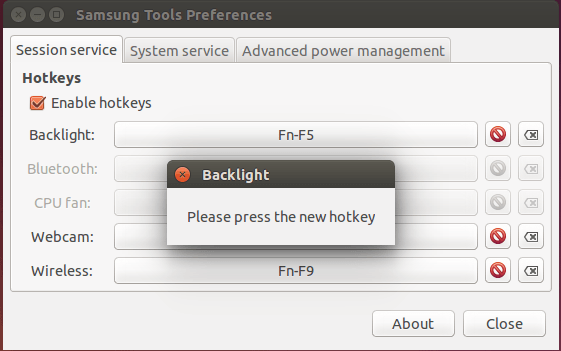 Samsung-tools is an open source project that enables control in a friendly way of the devices available on Samsung laptops (bluetooth, wireless, webcam, backlight, CPU fan, special keys) and the control of various aspects related to power management, like the CPU undervolting (when a PHC-enabled kernel is available). This app is available in the developer’s PPA for Ubuntu 14.04, Ubuntu 13.10, Ubuntu 12.04, Ubuntu 10.04 and their derivatives.